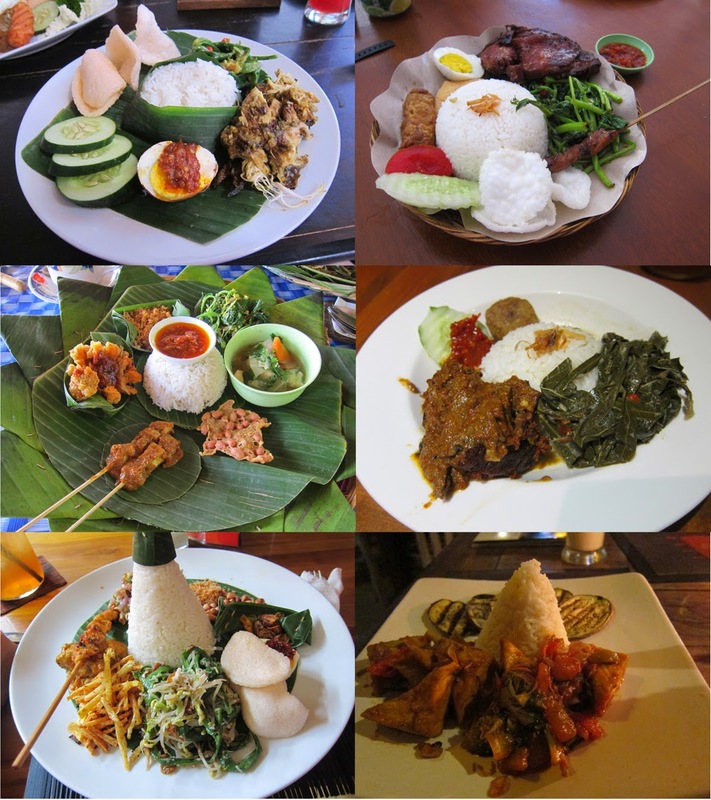 candidanimal: What Did I Eat In Bali? Food I had but wished I didn't: Fresh durian. I love durian-flavored items, but I think I just picked a bad fruit. Most delicious meal: Nasi champut, practically everywhere. The traditional food I had in Bali was a delicious combination of spice and sweet flavors, most often found in the dish Nasi Champur. Rice was the ubiquitous staple to the diet, usually served in the center of the platter and meant to be eaten with everything. I also enjoyed the curried vegetables and satay. 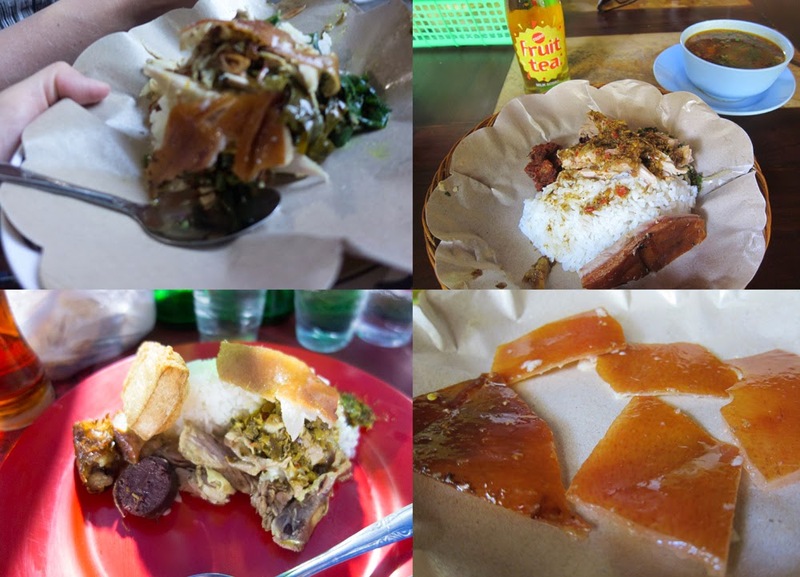 Babi Guling (sucking pig) is also a must-try in Bali. Even the Indoensian Muslims eat babi guling in Bali, or so says Balinese people. The skin of the pig is so crisy, it is reminiscent of the crust of a crème brûlée. Mi Goreng was also a dish that we could not get enough of. Mi Goreng basically means fried noodles. We were looking forward to this even from the U.S., where we made Mi Goreng instant noodles all the time. As one would expect, real Mi Goreng is a lot better than the instant-noodle version. 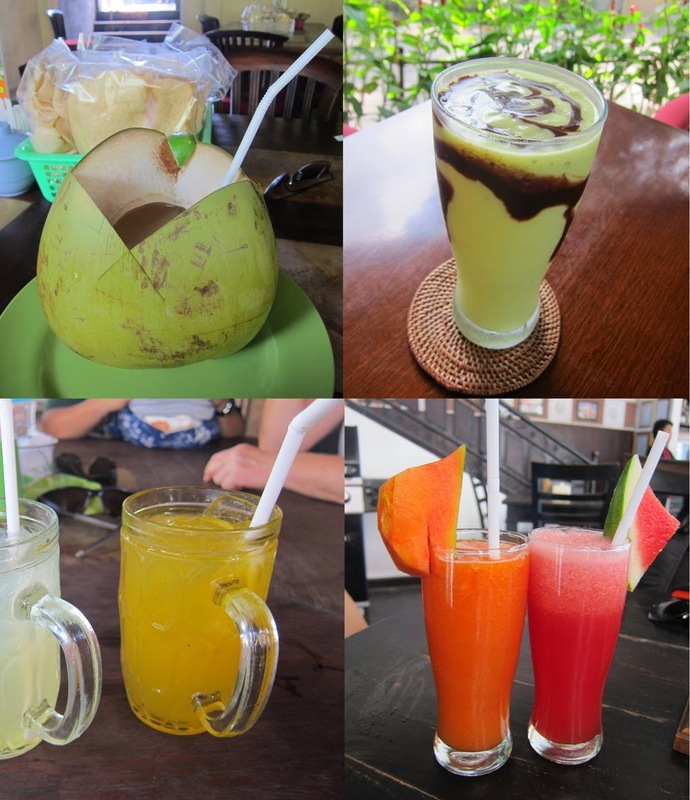 Don’t hold back on the fruit juice in Bali. I know what the guides say. "Don’t drink the water." "Don’t order anything with ice." "Don’t eat fruit you didn’t peel yourself." Easier said than done, especially when the drinks are just too tempting. I didn’t hold back at all in Bali. I had drinks with ice. I survived. You will too. We also enjoyed some amazing breakfasts from our local host in Bali. 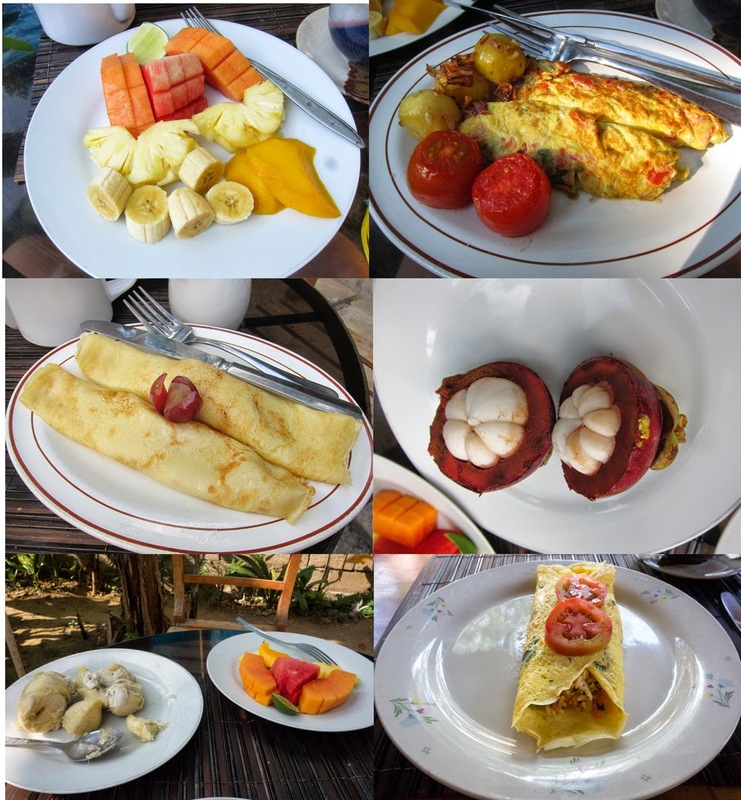 Tomato omelets, banana pancakes, mangosteens, and durians made for some very memorable mornings. 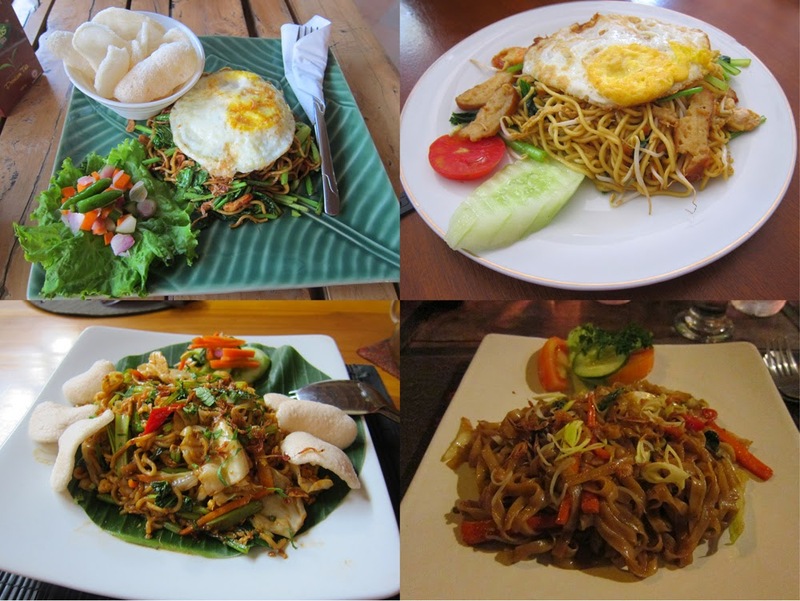 Labels: 2014, Food, INDONESIA, INDONESIA Kuta, INDONESIA Ubud, SE Asia Hop, What Do I Eat?